REPLACED: Slipsteaming Service Pack 4 in to your install WIN2K CD (REPLACED) - TACKtech Corp. 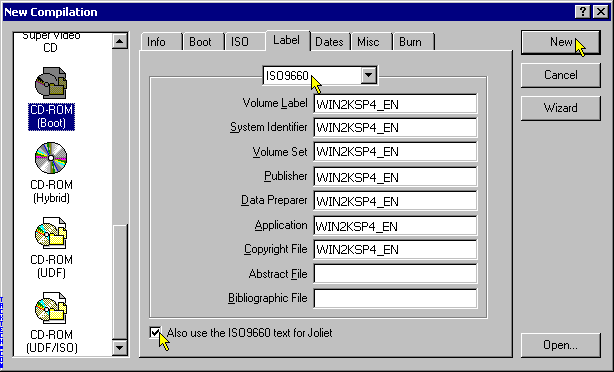 This will allow you to take a Windows 2000 without SP and integrate SP4. You will need a few things..
Third, the boot files which you can download here. *Optional* Update the Deploy.cab tools. Downloadable here. 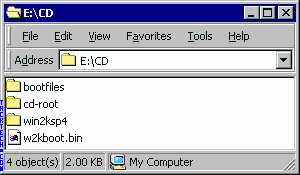 Goes in "E:\CD\CD-ROOT\SUPPORT\TOOLS\"
Created a folder called CD where you have at least 650MB of space. 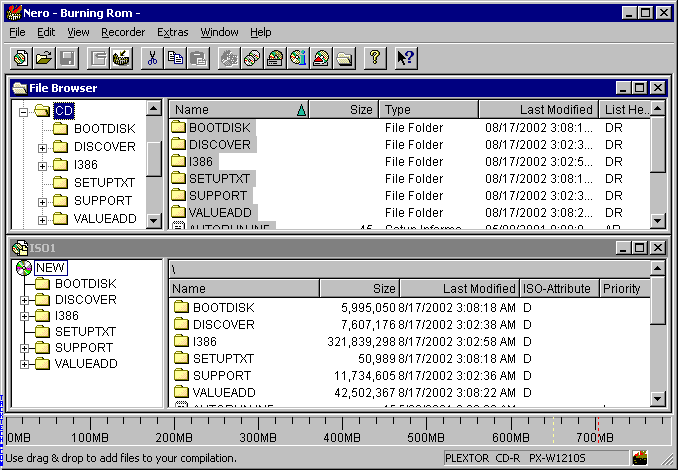 In this directory create a directory called CD-root and copy the whole Windows 2000 CD to this directory. Next extract the service pack with this command w2ksp4.exe -x and it will let you pick a directory to extract to. 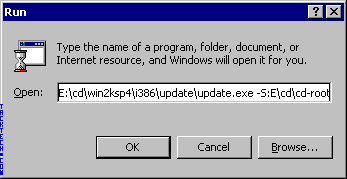 You should use E:\CD\win2ksp4. You can change the drive letter just keep it the same one in this whole process. Now extract the boot files in to a directory called bootfiles in the E:\CD directory. 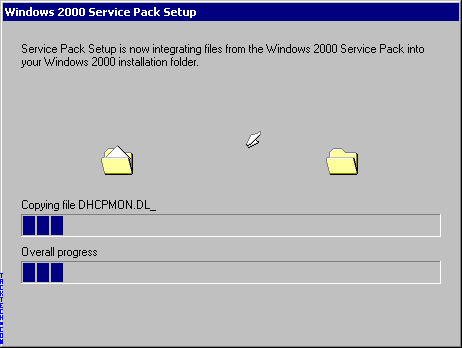 Next you need to apply the service pack to the Windows 2000 data. Run this command. You can run this from command prompt or from Start | Run. Once this is done and it's merged OK, it's time to get your boot files in order. 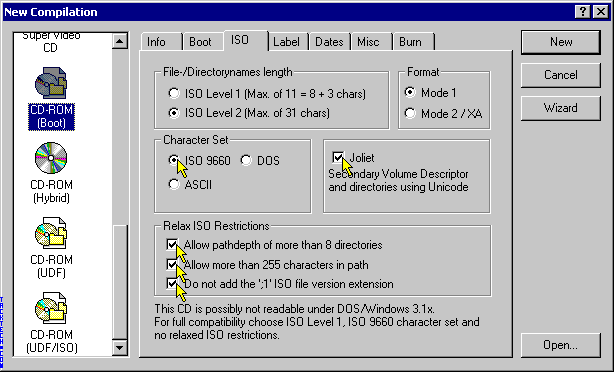 You need to find the right CDROM_IX.5 file and .TST file for your CD to be bootable.. Every cd needs CDROM_NT.5 to boot. So you need to get three files total from this. 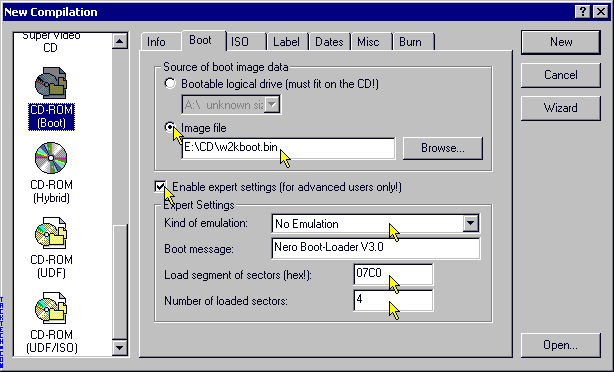 Move w2kboot.bin in to the E:\CD directory. Next Start up Nero make sure your not using Express version and select CD-ROM (boot) from the menu. Also, make sure your not in the Nero Wizard. Choose image file and browse to the E:\CD\w2kboot.bin file (in browse window set filter to All Files (*.*). Set all setting to the same as the following picture. Set the volume information to whatever you wish. We are using WIN2KSP4_EN in this example. 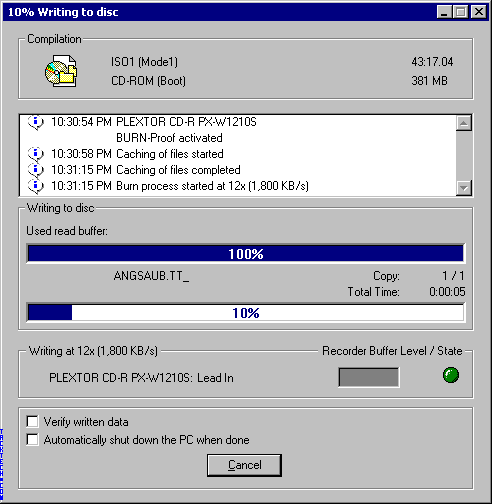 *Original English Windows 2000 Professional volume label is W2PFPP_EN. *Original English Windows 2000 Server volume label is W2SFPP_EN. *Original English Windows 2000 Advanced Server volume label is W2AFPP_EN. Go with the file browser to E:\cd\cd-root and select all the folders and files in it. Drag them to the other window ISO1. When done press the Burn button. 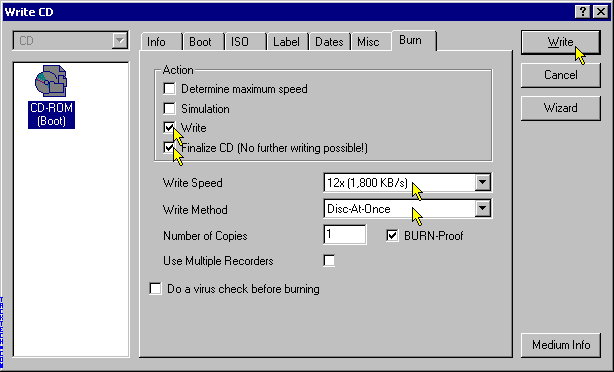 Now that you have burnt your CD you should be all set. Test it out and see how it works!